Vumela IT's Values - Our mission, vision and values. 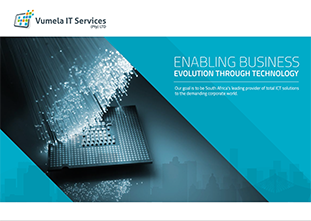 Vumela IT’s values reflect and reinforce our ethos as a company and how Vumela IT Services, treat each other, our customers, shareholders and the communities we serve. We earn trust by maintaining the highest level of ethical standards in our actions and behaviors. We support and equip each team member for success, and we will reward all our employees. We provide the highest level of personal service and support to all of our customers.